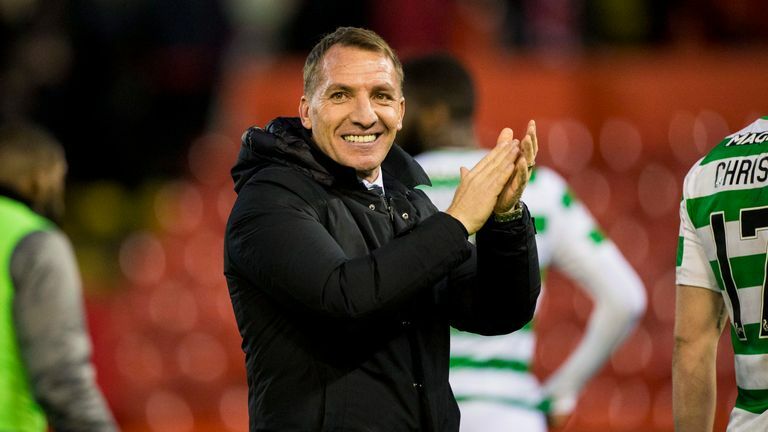 Brendan Rodgers says he expects Celtic to add to the three signings they have already made this month before the transfer window shuts in two weeks' time. The Scottish Premiership leaders have signed Oliver Burke and Timothy Weah on loan, as well as completed the permanent signing of Vakoun Issouf Bayo, this month. Rodgers expects further incomings, although he admits some players are likely to leave Celtic Park in search of more games. He said: "There will be movement both ways between now and the end of the window. "We have a big squad and players want to play. There will be players that go out to find game time. The fixture list will lighten over the second part of the season. "Hopefully we can do some more business as well." One of the players Rodgers is willing to let leave is Scott Allan, the 27-year-old midfielder who is yet to play for Celtic this season. He has had three separate loan spells away from the club since joining in 2015, and Rodgers said: "Scott has been really unfortunate. He's a player I really like. "When Scott went out on loan the team here did really well. He came back in the summer after the team had two years of real success. It's been very difficult for him to break in. "His attitude's been first class, but he's at the age now where he wants to play football. There's been some enquiries for him, so we'll see how that develops." Rodgers was unhappy with Celtic's transfer business in the summer - in particular their failure to sign John McGinn, who joined Aston Villa - but he insists he is more content with how this window is developing. "The summer window was difficult," Rodgers admitted. "We lost a number of players that had been with us for a couple of years. "Some real quality left the building and unfortunately we weren't able to replace that. It took us a wee bit of time to get going but we got into our rhythm again. "We've improved with the three players we've brought in. I'm very confident that by the end of January we'll be very strong."